Arthur James Balfour was the British Prime Minister from 1902-05 and the namesake of the Balfour Declaration. However, this isn't the dangerous idea I'm referring to. He was also a philosopher who wrote several books which all contain, to some extent, the argument that influenced C. S. Lewis's Argument from Reason (AFR). This is the idea that physicalism, materialism, naturalism are all self-defeating because when applied to the mind they remove any claim for our beliefs and belief-forming capabilities to be veridical -- and this would obviously include beliefs in physicalism, materialism, and naturalism. Lewis's version of the argument has recently been defended by Victor Reppert in C. S. Lewis's Dangerous Idea, and has been given a more rigorously analytical form in Alvin Plantinga's Evolutionary Argument against Naturalism. I just finished Balfour's first book A Defence of Philosophic Doubt, published in 1879. It's interesting because it contains the earliest version of the AFR that I've been able to discover, namely, chapter 13, "The Evolution of Belief." In fact, this chapter is a re-working of an essay he published in the Fortnightly Review in 1877. I think future accounts of this argument will need to delve into Balfour's version to see how it influenced C. S. Lewis and others. Balfour's other books spend more time on the AFR and, like Defence, they're all in the public domain. There's The Foundations of Belief, Theism and Humanism, and Theism and Thought, the latter two being two series of Gifford Lectures (which I wrote about here). There's also a critique of Balfour's philosophy in the public domain, Mr. Balfour's Apologetics Critically Examined by W. B. Columbine. At any rate, while Balfour's writings are very dry, I think they have some value and need to be taken seriously. Not much blogging this week as I try to finish checking the first proof of God's Philosophers. It is quite something to see it all typeset. In the meantime, this article in New Scientist is on the sort of subject that gets me excited. If I could have my time again, I can think of nothing better to do than deciphering a lost language. Ashgate, an academic publisher, has the beginnings of what looks to be a very interesting series. Called Ashgate Studies in the History of Philosophical Theology, it has an expert on a particular philosopher analyze said philosopher's view on the concept of God. So far they've published analyses of Aquinas, Scotus, Kant, Hegel (the only one I've actually read), and John Stuart Mill. Terry Eagleton is not everyone’s cup of tea. The April issue of Standpoint carried a short but highly critical article of the Marxist literary critic, best known as one of the last remaining diehard communists in academia. For many, he occupies a similar position to Naomi Klein or Noam Chomsky, left wing agitators who have been massively influential among their fellow travellers, but a turn-off for everyone else. Anyway, Eagleton was invited to deliver the Terry lectures at Yale and decided to continue his attack on Dawkins, with a few broadsides at Christopher Hitchens thrown in. These lectures have now been released as a book, Reason, Faith and Revolution which has received some positive notices and no little publicity. I read the book with interest, not least because Marxist agitprop rarely makes it onto my bedside table. On the principle that my enemy’s enemy is my friend, I suppose I should be a fan of Eagleton’s witty and well-written assault on the new atheists. I’ll even admit that I often did enjoy it. As a literary critic, Eagleton has spent his life claiming that fiction is tremendously important. So the argument that religion is irrelevant because it is not true would not wash with him anyway. And while he is not explicit about his own beliefs, I think he probably is a man of faith himself. I see him as the heir to medieval radicals like John Langland and the spiritual Franciscans. But at base, his beef with Dawkins is political, not religious. Eagleton really is a unrepentant Marxist. He is against the market economy, against globalisation and against free trade. In other words, he takes the three factors that have lifted more people out of poverty than any other ideas in history, including Christian charity, and trashes them. His alternatives are an incoherent mishmash of socialism and wishful thinking. Nowhere is this more evident than in his analysis of Islamic terrorism. Like many of the left, Eagleton sees the origin of 9/11, 3/11 and 7/7 (not to mention Bali and Nairobi) in poverty and injustice. He imagines that terrorism springs from politico-economic circumstances and not from ideology. Islamic countries, he claims, have been exploited and victimised by the West, particularly America. This ignores that reality that the terrorists themselves are rarely poor and that the 7/7 bombers were home-grown. I do not believe that Islam leads inexorably to terror, but there is no doubt that the motivation of many fundamentalists is primarily religious. Eagleton is angry about injustice, and justifiably so. But his own philosophy would make things far worse than they are, worse even than if Dawkins and Hitchins were in charge. I can just about recommend Eagleton’s book, but I can’t say anything much positive about his philosophy. Hitler’s religious beliefs continue to provoke plenty of sterile argument on the internet. Ignorant Christians claim he was an atheist while foolish atheists claim he was a Christian. A very quick look at the relevant scholarship reveals he was neither – he believed in a higher power but he was aggressively anti-Christian. Joe Keysor has researched the topic of the Nazi’s religious policy in-depth for his book Hitler, the Holocaust, and the Bible: A Scriptural Analysis of Anti-Semitism, National Socialism, and the Churches in Nazi Germany. The book is clearly intended for a Christian audience and is published by a small press that specialises in apologetics. In some senses, this is unfortunate because Keysor’s research would reach a wider audience if it had not been written from a clear confessional stance. 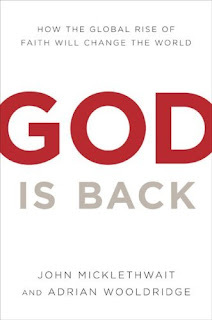 The apologetics probably plays well with his intended target audience, especially given that the publisher seems to specialise in such literature. But it would have been a good scholarly book if he had toned it down a bit. He does admit the Church in Germany could have done more against Nazism (p7). But remarks such as "all atheists will inevitably lose" (p347) and "when Christ returns in great power and glory as God to reign" (p377) are a bit much if he is hoping to reach a non-Christian readership. Overall I think it's a good book but it has a strong Christian bias. The research is commendably thorough and without going back through the original sources, I didn't see anything that struck me as being taken out of context. There is a good summary of Hitler's philosophy (p48-49) and anyone who still thinks Hitler was a Catholic should be persuaded otherwise by page 87. There is also a good explanation of what Hitler meant by "God" on pages 93 to 94. One possible shortcoming: he missed a good opportunity to discuss Wagner's Parsifal. He mentions it twice in passing, but considering he devotes a whole chapter to Wagner he could have gone further. Parsifal was Wagner's last opera and was the only one actually to be banned in the Third Reich (I didn't see him mention that either). I believe it was banned for its overt Christian imagery so in a book as thorough as this, it merits a slightly longer look. I liked the Nietzsche chapter but again, he flits between scholarship and partisan polemic. He doesn't seem to find any inconsistency between berating atheists for having invented their moral code while lauding Christians for accepting theirs without question from a presumed supernatural authority. He also mistakenly and repeatedly conflates Darwinism with its supposed Nazi implications if taken to extremes. Darwinism is a descriptive biological theory and does not prescribe any sort of ethical system. Overall, then, I recommend this book which accurately describes the religious beliefs of the Nazis and their policy towards Christianity. Had it been written as straight-forward scholarship rather than as apologetics, it would have been even better. Sam Harris's new 'Reason Project' has announced a competition for films that 'promote critical thinking' and 'erode the influence of dogmatism, superstition, and bigotry'. Accordingly, and inspired by the release of Agora, I have written a script for a new film, 'Science and Religion' the movie. Like most Hollywood historical dramas, this is based entirely on fact and no liberties have been taken. Opening scene – Bertrand Russell is sitting in his study writing his History of Western Philosophy, as the camera pans into the room he looks up expectantly and begins to speak. Bertrand Russell – The tale I am about to relate is the story of science and reason, an epic of discovery, ingenuity and man’s attempts to probe the secrets of the world around him. It is also a tale of barbarism, arrogance, stupidity and superstition and the way these dark forces have set themselves against the fragile progress of enlightenment. Our account begins in the Greek era, a golden age of philosophy and scientific endeavour’. The scene dissolves into an amphitheatre in Athens in the fourth century BC. All around are men in togas exchanging philosophical ideas. In one corner a man is demonstrating the principles of Geometry. In another Eratosthenesis is pointing to a picture of the earth drawn in the sand and is demonstrating it’s size. 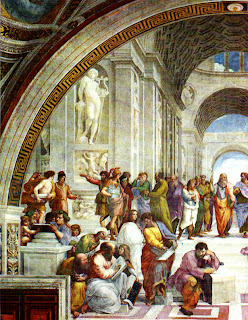 Plato enters the scene and greets Aristotle. Aristotle – ‘Ah, my old teacher, I have been busy laying out an approach for the investigation of all natural phenomena and penned a treatise on virtue and its relationship to well being and happiness. Plato – ‘Impressive!. With the application of mathematics and deliberate empirical research we will soon unlock the very secrets of the universe. What a glorious future awaits us’. A Montage shows the Great Library of Alexandria with its 800,000 scrolls. Men and women in Togas walk around in the sunlight reading from papyri and exchanging rational ideas with one another. 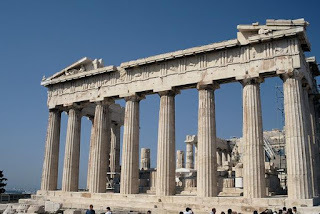 Bertrand Russell (voiceover) – And yet, the progress of Hellenic civilisation would prove to be fragile. The minds of the populace would soon be seized by a new and pernicious superstition. The dark outline of a cross falls across the scene and the music for the Imperial March from Star Wars begins. Jesus is showing leaping manically around in front of a crowd of onlookers in Judea and telling them they are going to hell if they don’t worship him. He is then dragged off kicking and screaming by the Roman authorities. The scene cuts to the apostles who are seen making up the gospels and inserting lurid details into the text. Children are then seen being brainwashed by their parents and forced to memorise the New Testament. Hooded figures stream out of churches and begin to burn temples and kill Pagans. 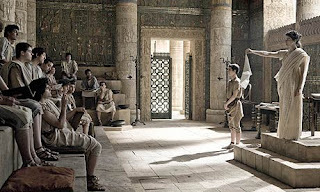 The scene cuts to the interior of the Great Library of Alexandria. Hypatia is sitting with a group of her pupils and teaching them about ancient learning. She is a slim voluptuous woman in her early twenties and wears a loose fitting toga. She seems oblivious to the flames and the shouting coming from the outside. Suddenly the door bursts in and faith-crazed Christians rush into the library. They begin setting light to scrolls and destroying everything they find. Any philosopher unlucky enough to get in the way is stabbed to death. 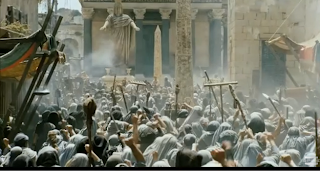 One hooded Christian comes forward, grabs a pile of papyri from next to Hypatia and beings to tear them to pieces. The mob attacks Hypatia and deals a death blow. As this happens the scene suddenly turns black. Bertrand Russell – With Hypatia’s death, Christianity sapped the intellect of the people and all Pagan learning vanished for a thousand years. This period became known by historians as ‘The Dark Ages’. Only a few candles of reason burned in a world lit by the fire of superstition. 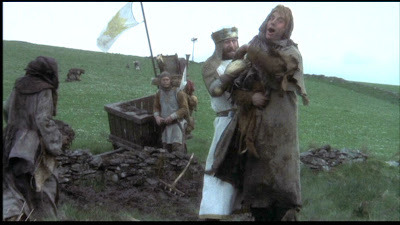 The Dark Ages – The scene is a field outside a monastery. Groups of filthy peasants are shown wearing hoods and slapping themselves in the face with bibles. A hairy man sits in the foreground scratching himself and attempting to copulate with a chicken. To the right, a group of plague infested men and women are busily worshipping the dismembered toe of a saint. This is an age of darkness. In the monastery two monks are sitting next to each other. One, James of Hannam is shown laboriously copying out the Gospel of Mark. The other, Roger Bacon, is busily reading an ancient text. Brother James – What is that you are reading Brother Bacon?. That does not look like any book of the bible I am familiar with. Roger Bacon – Nay Brother James, this is ancient learning, the works of Aristotle. Roger Bacon – Ah but Brother James, perhaps they were too hasty. Look what wondrous things are contained within this text. Here, look it says that the world is a sphere. Brother James – A sphere!, heresy!. Does it not say in the Bible that the world is flat. Did not the great Cosmas Indicopleustes demonstrate this without doubt through reference to scripture and did not his treatise win much favour within the church. Brother James – Silence heretic. Brothers, cast him into the dankest cell. The scene returns to Bertrand Russell’s study. Bertrand Russell - ‘And yet science and reason could not be held back forever, it lived on it the hearts of those men who were not afraid to challenge the revealed wisdom of their time. One of them, the great Copernicus was about to challenge scripture and shake society to its very foundations. Dissolve to Copernicus’s observatory. Copernicus is shown making observations of the heavens. As he works on his treatise ‘De Revolutionibus’ he looks over at his opened bible. For a while he seems torn, then he closes the bible abruptly and returns to work on his treatise. Copernicus (voiceover) - I knew that the treatise I had prepared would destroy the authority of the bible forever and so I asked my assistants to postpone publication until my death. Had I not done so the church would have had me burned for my impudence, and yet I could not let the truth die with me. Giordiano Bruno is then shown teaching heliocentrism and claiming that there are other planets with life on them. Hearing this a group of inquisitors grab him and burn him in the public square. Galileo watches on in disgust and returns to his house. To his horror a group of the Inquisition are there waiting for him. Inquisitor – Going somewhere Galileo?. The Pope wants a word with you about your recent dialogue concerning the two world systems. Galileo – I will present myself to the holy father, I feel sure he will see the light of reason in this matter. 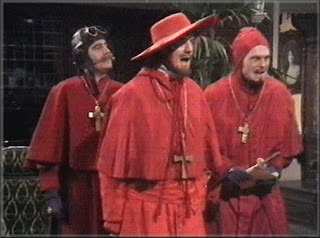 Galileo is led into the chamber of the inquisition. A series of demonic looking inquisitors sit behind a bench. On the table in front of them are a series of grisly looking torture devices including thumbscrews and rusty nails. An Iron Maiden is located in the corner of the room which creaks open as Galileo enters. Head Inquisitor – Silence heretic, there will be no such debating here. You will must bow before the authority of scripture or be tortured to death for your impudence. For a while Galileo puts up a fight and is thrown in jail, but after a while he recants. Cue heroic music and scenes of the enlightenment and the scientific revolution. The Philisophes are shown debating in coffee houses and Hume is shown writing his ‘dialogues concerning natural religion’. Columbus is shown completely anachronistically, proving that the earth is round to the horror of the Church. 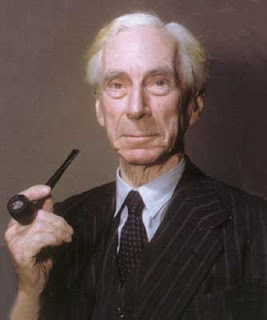 Bertrand Russell – And with those words the enlightenment began, the power of religious dogma would be broken and science and reason were finally allowed to flourish. There was but one final act remaining. The scene shifts to Darwin’s study. Darwin is sketching in a book, he draws a monkey and a human being and then a line between them with a note saying ‘I think’. Wilberforce – Mr Huxley, may I enquire whether is through your grandfather or your grandmother that you claim your descent from a monkey. For a while, there is a stunned silence, suddenly the room breaks out into laugher. Mayhem ensures. Robert Fitzroy rises in a frenzy shouting "The book! The book!" while holding a bible aloft. Women faint around him. Huxley is carried out in triumph and Wilberforce is defeated. Following the discussion below my post of A.J. Ayer’s book Language, Truth and Logic, I’ve been thinking a bit about the differences between soft and hard atheists. Conventionally, a ‘hard atheist’ is someone who believes that there is no God. A ‘soft atheist’ has no belief in God. Essentially, then, the hard atheist makes a factual claim about reality when they assert God does not exist, while the soft atheist only makes an assertion about the contents of their own heads when they claim that they have no belief in God. The distinction is important because atheists in argument will very often assert that they are soft atheists and consequently do not need to present any positive arguments for the non-existence of God. To his credit, Richard Dawkins does not do this. In chapter four of The God Delusion, he presents an argument for why he thinks, in reality, there almost certainly is no God. Since his argument is about the real world rather than the inside of his head, he is undoubtedly a hard atheist (whatever he says elsewhere). The soft atheist cannot assert that there is no God, probably or otherwise. Their beliefs clearly have no bearing on reality because they are not making a factual proposition about it. To claim as a soft atheist, “I have no belief in God and therefore God probably does not exist” is not a valid argument. But to claim as a hard atheist, "I have good reasons for believing that God does not exist and therefore he probably does not exist." is valid. This makes being a soft atheist quite hard work. Because even if they are really careful and never let themselves think that God does not exist, they almost invariably reach other conclusions on the back of this. For example, let’s assume I claim that God made a statue of Mary wave at me. The hard atheist can scoff because he has asserted there is no God. The soft atheist has a problem. He has no belief in God, but must admit that his lack of belief has no bearing on whether or not God made the statue wave. So he must simply say, he has no belief in the statue waving. He can’t say it didn’t (or at least, he can’t say it didn’t because God could not have done it). So, in many cases soft atheists are actually hard atheists who have not come out. Soft atheism is often a rhetorical trick rather than a practical position to take. Forced to flee the city's library, a storehouse of ancient knowledge and manuscripts, Hypatia rescues a handful of irreplaceable texts from a Christian ransacking and continues her theorising on the nature of the universe. Christian leaders eventually label her a witch and make her a martyr to scientific reason. As usual, bigots and anti-theistic zealots will ignore the evidence, the sources and rational analysis and believe Hollywood's appeal to their prejudices. It makes you wonder who the real enemies of reason actually are. According to tradition, Hypatia, who lived in the city of Alexandria from 355 – 415AD, was a brilliant, beautiful woman who wrote and compiled books on mathematics, lectured on a variety of subjects and invented mechanical devices. According to the most recent biography by Maria Dzielska, she became the victim of politically motivated street violence by Christians at the age of around 60-65. Unlike Giordano Bruno, Hypatia was a genuine scientist and, as a woman, was certainly remarkable for her time. But she was no martyr for science and science had zero to do with her murder. Exactly how much of the genuine, purely political background to her death Amenabar puts in his movie remains to be seen. It's hoped that, unlike Sagan and many others, the whole political background to the murder won't simply be ignored and her killing won't be painted as an act of ignorant rage against her science and scholarship. But what is clear from his interviews and the film's pre-publicity is that he has chosen to frame the story in Gibbonian terms straight from the "conflict thesis" textbook - the destruction of the "Great Library", Hypatia victimised for her learning and her death as a grim harbinger of the beginning of the "Dark Ages". The movie is therefore only the latest incarnation of the Hypatia myth which has been evolving since her murder in the fifth century. 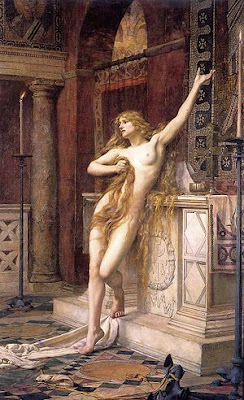 Some of the first people to appropriate the life of Hypatia were the Christians in the Middle Ages who recast the tale with St Catherine, a fourth-century Christian murdered by pagans. This St. Catherine was fixed to a wheel and tortured because she cleverly confounded the pagan wise men sent to argue her out of her faith. With the arrival of the Reformation and the later Enlightenment, the protestant/deist John Toland, wrote a historical essay entitled Hypatia, or the History of a Most Beautiful, Most Virtuous, Most Learned and in Every Way Accomplished Lady; Who was Torn to Pieces by the Clergy of Alexandria, to Gratify the Pride, Emulation and Cruelty of the Archbishop, Commonly but Undeservedly Titled St. Cyril. The Church fought back by publishing The History of Hypatia, a Most Impudent School-Mistress. In Defense of Saint Cyril and the Alexandrian Clergy from the Aspersions of Mr. Toland. Thanks to Toland’s tract, Hypatia was to become a favourite of the 18th-century Enlightenment. Figures such as Voltaire, Fielding, and Gibbon rushed to the defence of the ‘young lady of greatest beauty and merit’ and drew attention to her murder as a way of lambasting the Catholic Church. Voltaire portrayed her as a victim of superstition and ignorance who had been killed because she believed in rational thinking and trusted the capacities of the human mind over imposed dogma. In the 19th century and with the rise of the Romantics the emphasis shifted to Hypatia's death as a symbol of the passing of a golden age of Greek civility, culture, and learning . Italian writers, French poets and English historians lined up to extol her beauty, intelligence, and the pureness of spirit she exemplified. They depicted her as a voluptuous pagan priestess, much younger than the ageing beauty of 60 she really was. The culmination of this movement was the famous and wildly popular version of her story written by Charles Kingsley in 1853. His romantic tale of the pagan, who converted to Christianity at the end, was contrasted with the world of deceit in which she lived. Meanwhile, the positivist movement found that Hypatia satisfied their needs for elevating science over superstitious religion. In the 20th century feminist writers saw Hypatia’s murder as a misogynist act, she had been murdered because she was an intelligent, independent woman. Journals and institutions were founded and named after her. Bertrand Russell commented wryly after quoting Gibbon’s description of the murder of Hypatia that Alexandria was ‘ no longer troubled by philosophers’. This is the kind of bogus remark Russell was fond of making. In fact, philosophy flourished in Alexandria a full century after her death (most notably in the person of John Philoponus). Carl Sagan provided a vivid account of her death and an anachronistic account of the burning of the Library of Alexandria in his book Cosmos. 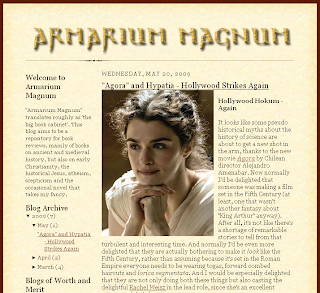 Now in the 21st century and the release of Agora, Hypatia has become the goddess of science and reason fighting to preserve learning against the forces of fundamentalist religion. Once again the present is recasting the past in its own image. (For future reference, it is unwise to make predictions like this in case you are proved wrong and thereby doomed to be quoted in future essays as some kind of false prophet). To many it is considered a truism to say that science has prompted the secularisation of society, ushering in scepticism and laying the foundations for intellectually respectable unbelief. History reveals a more complex picture than this. A study by Susan Budd entitled ‘Varieties of Unbelief: Atheists and Unbelievers in English Society 1850-1960’ revealed that the reasons given by those who had lost their faith in Victorian England hardly ever included ‘advances in science’. Budd’s research drew on the direct testimony of one hundred and fifty unbelievers and evidence from two hundred additional biographies. She found that conversions to unbelief were most commonly associated with changes from conservative to radical politics (religion being rejected as part of privileged society)and the reading of radical texts such as Thomas Paine’s ‘Age of Reason’. Judging by Budd’s study other readers of the Old Testament had performed a similar exegesis. Truth, more specifically the exclusive access to the truth claimed by every Christian sect began to take it’s toll as did the perceived immorality of certain tenets such as the doctrine of Hell (Charles Darwin, horrified at the preaching of evangelicals on the afterlife referred to this as a ‘damnable doctrine’). The idea that atheist could be as morally upright as believers also began to gain credibility. Hedley Brooke also draws attention to the sociologist Mary Douglas who argues that ‘religion is principally grounded in social relations, not concepts of nature’. In the 19th century secular reactions were provoked by movements from within Protestantism and Catholicism; claims for the inerrancy of scripture and vulgar bibliolatry; claims for papal infallibility and the provocative Syllabus of Errors published by the Catholic Church in 1864. These were the activities that prompted John William Draper to write ‘History of the Conflict between Religion and Science’ in 1874, popularising the thesis that Catholic Christianity and science were at war. ‘In modern times, the expansion of secularism can be correlated with social, political and economic transformations having little direct connection with science. Historians point to increases in social and geographical mobility that have fractured communities once bound by common religious values. The growth of capitalism, commerce and consumerism has fostered a pervasive hedonism that threatens commitment to religious institutions and long term goals...secular values have been heavily promoted in the sphere of education and in the media. In some countries religious solidarity has been replaced by national solidarity or by the ideology of political parties. That such transformations have taken place at different rates and to different degrees in different cultures means there is “no consistent relation between the degree of scientific advance and a reduced profile of religious influence, belief and practice”. The statistics show that despite the hopes of rationalists the vast majority of humanity continues to believe whole heartedly in supernatural entities and despite the hopes of liberal believers it’s the fire and brimstone and biblical inerrancy which seems to be taking off the most. The world isn’t going to become a ‘clear thinking oasis’ any time soon. When I was in high school, a substitute teacher told the class something that was an interesting little tidbit of information. I accepted it, and it played a small role in my belief that Christianity is anti-science. It wasn't until several years after I became a Christian that I actually realized that it was not only false but ridiculous. What the teacher told us is that, prior to Modernity, people thought the human heart was located in the lower abdomen because you can feel a heartbeat there. It took modern science, with its discarding of religious sensibilities regarding dead bodies, to actually perform autopsies and discover, to everyone's surprise, that the heart is actually located in the chest. I'm not sure if this really qualifies as a myth, since I've never heard anyone else say it. But it certainly plays into the conflict myth, and as a teenager, it cemented the general impression I had from society that religion (and Christianity in particular) is at war with science, and so is hopelessly unscientific. When I first started to seriously consider Christianity in my mid-20s, the one thing that stood in the way the most is that I thought becoming a Christian entailed abandoning science entirely. I honestly thought it would require belief that the earth is flat. With that, you can see why it was a long, hard road for me. This reminds me of the beginning of C. S. Lewis's classic The Abolition of Man, which you can read online here. Lewis critiques a book on English prep for children by two authors (whom he refers to as Gaius and Titius) which essentially assumes the philosophical and highly contentious point that values are illusory. By assuming this rather than arguing for it they have bypassed the child's reasoning faculties and implanted in him a belief that will influence the course of his life -- not to mention the fact that the book was supposed to be about English, not deep philosophical issues. "The very power of Gaius and Titius depends on the fact that they are dealing with a boy: a boy who thinks he is 'doing' his 'English prep' and has no notion that ethics, theology, and politics are all at stake. It is not a theory they put into his mind, but an assumption, which ten years hence, its origin forgotten and its presence unconscious, will condition him to take one side in a controversy which he has never recognized as a controversy at all." Last year, I wrote the introduction to the book Shattering the Christ Myth for its editor, my old friend J. P. Holding. OK, we've never met but I think ten years of correspondence classifies as an old friend. Now, with J. P.'s permission, I've uploaded the introduction to my website so you no longer have to buy the book to read it. The paper compares the Christ Myth to the equally ridiculous conspiracy theory that Shakespeare did not write his plays, before looking at the authors who have, over the last century, tried to sell the idea that Jesus never existed. In philosophy departments, logical positivism has been ignored, as far as I am aware, for the last few decades. But in the outside world, it has become the de-facto worldview of many materialists. When you boil down the beliefs of the new atheists, you get to the statement that only science can generate reliable knowledge. Since theology is not scientific, it is not worth bothering with. It’s this return of logic positivism that makes A. J. Ayer’s manifesto Language, Truth and Logic, written in 1936, relevant today. It is the next book I’ve been able to cross off my list of things I should have read ages ago. Ayer’s book is of great value because it is an open-eyed analysis of what logic positivism actually means. It is not just God who gets sucked up by the positivistic vacuum. So to does ethics, other minds, aesthetics and even atheism. As Ayer says “…in so far as statements of value are significant, they are ordinary ‘scientific’ statements; and that in as in as far as they are not scientific, they are not in the literal sense significant, but simply expressions of emotion which can neither be true or false.” I have yet to see how ethical beliefs can be maintained as true by the new atheist, which is ironic because they spend much of their time labelling things they don’t like as very bad. On what grounds? There might be a non-theistic basis for ethics, but you certainly won’t find it in scientific materialism. As for atheism, Ayer reminds us, “If the assertion that there is a God is nonsensical, then the atheist’s assertion that there is not a god is equally nonsensical, since it is only a significant proposition that can be significantly contradicted.” This might explain why the argument in chapter four of the God Delusion was laughed at by philosophers of all stripes. It gets worse for the naïve logical positivists. Ayer admits that we have no reason to believe in other minds except that other people seem to act quite like us. In other word, we are back to the behaviourism that made B. F. Skinner so famous and now so reviled. And, as Alvin Plantinga has often noted, this puts other minds in the same boat as God. So, Language, Truth and Logic teaches us that new atheist philosophy is incoherent. And that is from the man who wrote the book. A new book by an new author, Dan Jones’s Summer of Blood has been released. It is a narrative account of the Peasant’s Revolt of 1381 and being a denizen of Kent, it’s a subject I am very interested in. To help remedy this problem, Jones suggests the formation of the Ignatius J. Reilly Society to provide mutual protection to medieval historians. Presumably, members of the society will identify each other by asking the coded question “What did you think of Barbara Tuchman’s A Distant Mirror?” The correct answer is to disparage it as only acceptable for non-specialists, although secretly we all rather enjoyed it. Since both Jones and I are in the business of writing for general readers, we have little choice but to both admire and try to emulate Tuchman’s achievement. And if you see me on a beach this summer, you’ll probably find me reading Jones’s book. 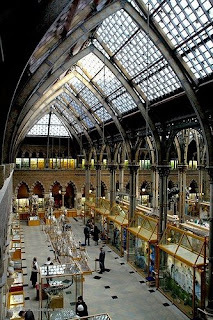 Cambridge historian of science Patricia Fara has a new book out from OUP called Science: A Four Thousand Year History. I’ve not read it but have had a chance to flip through a copy in my local bookshop. It is one of those history books arranged according to themes rather than a narrative. I think it is hard to make this work, but Fara may surprise me. Certainly, it lends her book an academic quality when she is clearly trying to reach out beyond university walls. I think that general readers do want to read a story, even in the history of science, and if we are to get them to listen to us, we have to provide one. On a positive note, Fara attacks the traditional positivist story of scientific progress. She seeks to show that science is dependent on the society that hosts it rather than the individual genius of the ‘great scientists’. The book’s title promises us 4,000 years and, sure enough, we get the Babylonians from about 2000BC, ancient Greeks and then quite a big gap. But as a specialist in medieval science, I’m going to find any treatment of the Middle Ages in a general history of science to be inadequate (with the sole exception of the textbook Science and Technology in World History). One thing did catch my eye. In her acknowledgements, Fara mentions a symposium back in 1991 devoted to the Big Picture in the history of science. The idea of the symposium was to try to rein back the increased level of specialisation in the field. In this respect it failed, but it did give birth to some classic papers and, eventually, Fara’s new book. One of the papers (they were collected in a special issue of the British Journal for the History of Science in 1993) was presented by Andrew Cunningham who advised me at Cambridge for my PhD. It was called ‘Decentring the Big Picture’ and argued that the scientific revolution did not happen in the seventeenth century as commonly supposed. Instead, Cunningham claimed that modern science was born in the nineteenth century. I name-checked him in the conclusion of God’s Philosophers because I find his ideas very convincing. Indeed, I’d go so far as to say they form an important part of my own thinking. It still seems surprising that the same symposium should crop up in two history of science books released in the same summer seventeen years later. Sadly, I would suggest part of the reason is that the field has not moved on all that far since then. Have we acquired 250 years too much prehistory? Is it possible that 250 extra years have accidentally been inserted into the conventional chronology for the years around 1000BC? This idea has been around for a while but I have only just got around to reading Centuries of Darkness by Peter Jones et al (now out of print). This book gives the most rigorous defence of the idea. You can get a good idea of his ideas from his website. I should say at the outset that I’m not very convinced, but before explaining why, let me run through Jones’s thesis. The absolute dates applied to almost all archaeological findings prior to 700BC are ultimately derived from the sequence of Egyptian pharaohs and their regal years. During the period between about 750BC and 1250BC, Egypt was a bit of a mess with more than one pharaoh ruling at once. This makes it harder to assign exact dates to them all. Jones believes that the pharaohs who we think ruled in about 1250BC were actually reigning in about 1000BC. Now, when you find a scarab of Ramses II in an archaeological stratum, it means you should date the stratum near to the reign of Ramses II. But if we don’t know when he reigned, we don’t know the absolute date of the stratum either. All we have is a relative sequence that can be stretched, contracted, raised or lowered as we see fit. So the challenge is fixing absolute dates to nail down the relative chronology. Jones’s schema has a number of advantages. The most important is that there was a ‘dark age’ between about 1250BC and 750BC during which archaeological remains are very slight compared to the previous and subsequent periods. We have no good explanation for this dark age except the traditional theory of invasions by Dorians and Sea Peoples. The trouble is, the evidence for this is close to nil and we don’t even know who the Sea Peoples were. The dark age extends right the way across the Mediterranean basin. And of course, you know what I think about labelling periods as dark ages! Another advantage is that Jones’s revised chronology aligns much better with the Old Testament than the conventional chronology. Apart from the minimalists, most historians continue to treat David and Solomon as historical for good reasons, but we have difficulty placing them in the extant remains. The final advantage is that the Jones chronology explains how the Hittites contrived to disappear in one place and reappear somewhere else two hundred years later. These neo-Hittites are a difficult anomaly for archaeologists. The revised chronology has been kicked around for years (Jones and his team first published their theory back in 1992). David Rohl, whose books I have not read, has given alternative chronologies a bad name by some wacky theories and pot-boiling bestsellers. But Centuries of Darkness, although an excellent and informative read recommended strongly on this ground alone, is a much more scholarly and sober proposition than Rohl. Ultimately, though, I’m unconvinced. And to Jones’s great credit he lays out the problems with his theory very clearly. You see, we not only have lists of Egyptian pharaohs, we also have contemporaneous lists of Assyrian kings. It seems quite plausible that one list is largely wrong. But the Assyrian evidence, while not watertight, is very hard to explain away (although Jones tries). Ultimately, I was left with the impression that while each bit of evidence for the conventional chronology can be questioned, the scheme as a whole hangs together quite well. That is not to say that matters are entirely clear cut. A few anomalous carbon 14 samples or tree ring analyses might just open a real can of worms. For the sake of seeing egg liberally splashed over the faces of very many professors of archaeology, let’s hope so. 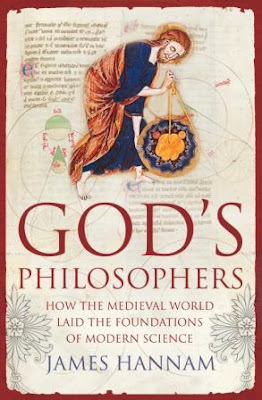 I am really excited about the upcoming publication of my book God's Philosophers: How the Medieval World Laid the Foundations of Modern Science. I have just sent the final corrected draft back to Icon’s excellent editor Sarah. Her comments on and changes to my initial effort have massively improved it as well as making it read more consistently. She will put through my last few corrections and send the draft for proofreading and typesetting. Once the book is typeset, it can be indexed and then dispatched for the production of proof copies. These should be out in early June for final checking before the printing of the book itself takes place in July. The release date is 6th August. Meanwhile, the distributors have been taking orders from bookshops and fixing up promotions. As you can see, we have a new cover that uses a wonderful image of God designing the universe with a pair of compasses. This should appear on Amazon and elsewhere soon. The manuscript illumination comes from the front of a thirteenth century French bible now in the Austrian National Library. It is an excellent illustration of how medieval thinkers imaged God as a rational architect of the universe who used the tools of geometry and mathematics. We are also finalising the pictures and photographs to go inside the book. These will be in-text as I prefer rather than in a separate plates section. I have personally always found the plates in the middle a bit annoying – I want the pictures near the text they refer to. We are now thinking about marketing and getting the book reviewed in as many places as possible. There will also be an event in London celebrating the launch. If any regular readers would like to come along, please drop me an email and I’ll see what I can do. I just re-acquainted myself with a quote from the Jesus Seminar's book The Five Gospels. In order to defend their rejection of the supernatural, they appeal to the conflict myth. It reminds me of Rudolf Bultmann's famous quote, "It is impossible to use electrical light and the wireless and to avail ourselves of modern medical and surgical discoveries, and at the same time to believe in the New Testament world of spirits and miracles." The Jesus Seminar makes the same point by appealing specifically to geocentrism and Galileo. So their understanding of the New Testament presupposes a discarded and demonstrably false theory of the history of science. Someone should tell them to stop focusing so much on Galileo's telescope and look through Hubble's telescope. If they did, they might discover that the universe is expanding outward after having sprung into being, which in turn suggests that something "outside" the universe brought it into existence. That wouldn't fit the narrative of a "secular heavens" though. Let me tell you then why the creator made this world of generation. He was good, and the good can never have any jealousy of anything. And being free from jealousy, he desired that all things should be as like himself as they could be. This is in the truest sense the origin of creation and of the world....we may say that the world became a living creature truly endowed with soul and intelligence by the providence of God. God created man in his own image, the book of Genesis informs us; but it seems to me man has spent much of the last 3,000 years creating God in his own image. For the sternly rational philosopher, God must also be sternly rational and fit neatly inside his philosophical system. One sees this in the God of Spinoza who might be termed the Naomi Campbell of deities; beautiful and mysterious but also aloof, strangely malevolent and utterly lacking in personality. This picture is very close to that of the early religions in Ancient Greece. Here the issue of God was central right from the beginning but the early religions had nothing like a creator or a protector of the Jewish sort. 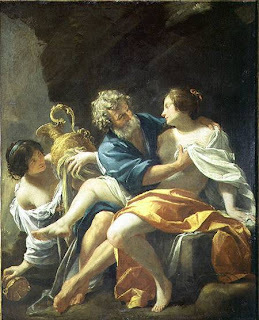 Instead their deity was the ultimate absentee parent who sires his progeny in a rather convoluted and roundabout way before sitting back and watching on with magnificent indifference. The pre Socratic philosophers approached this issue by asking the oldest of Greek philosophical questions, ‘how did it all come to be?’. The idea which emerged most prominently was that that in the beginning there had been a single kind of stuff (e.g water) from which things were fashioned. Some argued that one could discern from looking at the world that there had been a fashioner of some sort, not a personal being but some kind of remote deity. One reaction against this came from the atomists who supposed an eternal universe in which things had been able to come together by chance from simple corpuscles; a view that would later become Christianised by Gassendi and Descartes and appeared as the mechanical philosophy in which the corpuscles take their orders from God. Two views were to have an enormous influence in later ages. 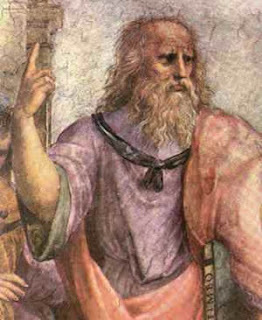 The first of them came from Plato who looked at the universe around him and saw a world which was intelligible. The intelligibility was somewhat limited and the kind which struck him most was that of mathematics. The fact that configurations of mathematics could establish themselves in the world led him to formulate his idea of forms. The interesting move which he made was to assume that if something is intelligible to mind, it must be the product of mind. The forms which particularly interested him were mathematical and biological and he then set about the task of asking how they are realised. As Plato looked at the world however, he realised that it was in many way imperfect. The world of sense is changing, and yet the perfect forms he envisaged forms are supposed to be unchanging. Plato therefore supposed that when the Demiurge made the world he put it on a receptacle, but this was not of the God's making. What’s worse, the receptacle has a tendency to resist form; it is like a shifting surface on which form cannot be realised. There is therefore an original source of resistance in the world itself which makes it incapable of acceptance. The sense world itself is like images on the wall of a cave. We have to perceive the best we can with the sense world and find the original perfect forms. In other words, as it was later put, we can see but only ‘through a glass, darkly’. Therefore in Plato, we have a God, but a remote non-personal one who doesn’t care too much about human kind, presumably having better things to do with his time. In contrast to Plato, Aristotle had a strong divergence with his teacher and he certainly moved strongly away from him on a great many things. Aristotle also has the notion of form, but unlike the Platonic forms, his are at home in the world and fully realised in its particular place. If you have a sea urchin, for example, it is fully realising some kind of form by the activity of that nature. Change for Aristotle is therefore not a sign of corruption, it is the activity of nature. Each form therefore inhabits a matter with many roles. There can be defects, or ‘chance’, but this is because of the environment. An acorn can turn into a tree, but it can also be eaten by a pig. Therefore the wider world can qualify to thwart the forms. As Aristotle traced this motion upwards he followed it to the planets and the fixed stars, and finally to the prime mover itself. This is a complex view with critical problems, but what is important is the only way a God appears is by the activity of the first mover, a necessary being who causes movement by being the object of love and desire. d.) The final (in Greek, telos ) cause: the goal or purpose of a thing, its function or potential (holding coffee is the final cause of a coffee mug, the final cause of me is presumably to bring the coffee mug to my wife so she can get out bed in the morning). The idea of telos is the end to which nature tends. When stones are taken from their place they tend to fall back again because there is a natural place to which they return. Natural things will tend to act for the good of their kind. The telos should not be interpreted as a purpose, nor a conscious seeking. Instead the order in the universe will act to restore the place of stones. Each creature is therefore fitted to the niche in which it lives. Their structure and behaviours serves the purpose of that kind and so there is an end relatedness. These then were the two major views which would come to be incorporated into Christian thought. Both are still relevant today, although ironically it is the atomists who have the upper hand. We are still presented with a set of contingent objects which, to some, might be suggestive of a prime mover or final cause. Science remains haunted by the vision of Plato’s cave, the idea that beneath the world of everyday sense experiences lies the true realm of beauty and order. Thankfully the long discourses on motion have fallen by the wayside.